మారుతి ఆల్టో 800 6 వేర్వేరు రంగులలో అందుబాటులో ఉంది - Silky silver, Mojito Green, Granite Grey, Blazing Red, Cerulean Blue, Superior white. Excellent car family car and budget car for everyone, very important that we can purchase it by low-cost EMI. 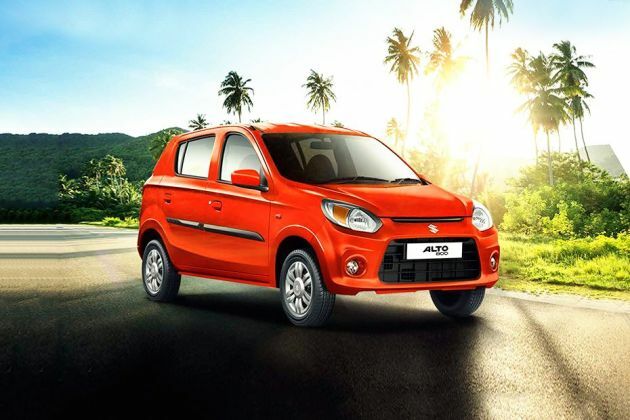 It is the best car, easy to drive and comfortable in the long drive with AC, very good mileage, I love this car very much and suggest to buy this car. My Best Car in The world. I am so lucky to Purchase it. Because It Helps me Every Time. And Amazing Car in the World. Very useful for the first car experience. Very easy to handle and comfort. Buy it for economic maintenance. I'm very happy with it. Great car. Especially for a small family. Fule effective, great cooling capacity.Value for money. Incredible engine. Lower service and maintenance cost. Best Car For The Family. This car is so good in every aspect for a family purpose and this car gives the best mileage.